Miwa Fiore is a fitness & nutrition coach based in Jacksonville, FL. Initially, she reached out for help with her website. Then she wanted to revamp her brand which revolves around her Bikini Bootcamp and fun-fueled workouts! I designed the logo with a dominant M and a “beach wave” vibe and provided color codes for a complimentary color palette. The client specifically requested a simple clean website (no parallax scrolling or animations) in black and white that was brought to life with nice imagery. 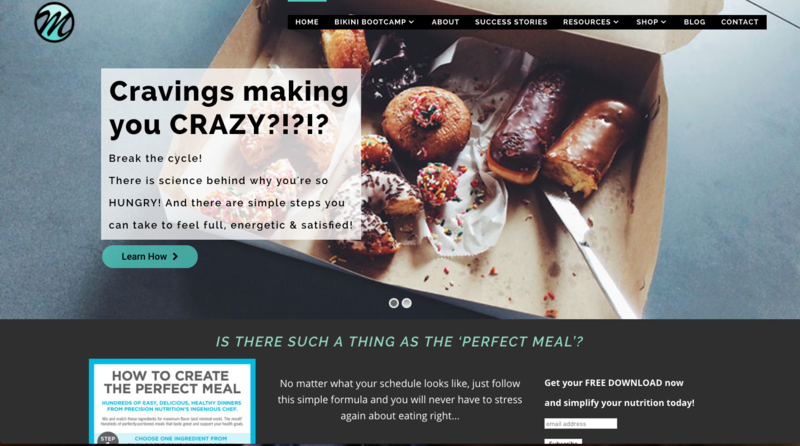 I used the Anahata theme on a WordPress installation to create the vibe she wanted. She also wanted to set up e-commerce capabilities to start selling e-guides, and I integrated WooCommerce into the site for that purpose.